The RT310i is factory pre-paired as standard. When you power up the receiver, the RED LED will flash. The RT310i is an affordable Smartphone controlled thermostat. 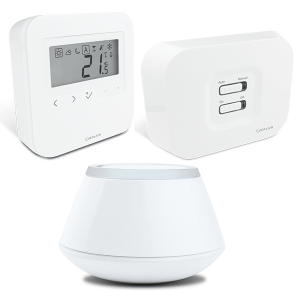 It allows you to control your heating from anywhere via your Smartphone, Tablet or PC. 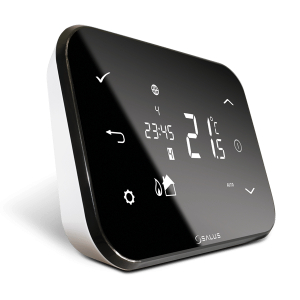 Alternatively, it can be used locally as a simple to use up / down thermostat. This control is just a connected programable thermostat. You are unable to connect by open-therm or optimize your system in any way. Don’t understand how this devise is boiler plus authorised as the instructions imply. The RT310i has Optimised Start. Please make sure the device and the app are on the latest software versions. In app cant change hysteresis how its says in manual. +\-0.5C as default is too much. Firmware can be updated through the app. This thermostat works pretty fine especially after firmware update and anabled hysteresis settings. 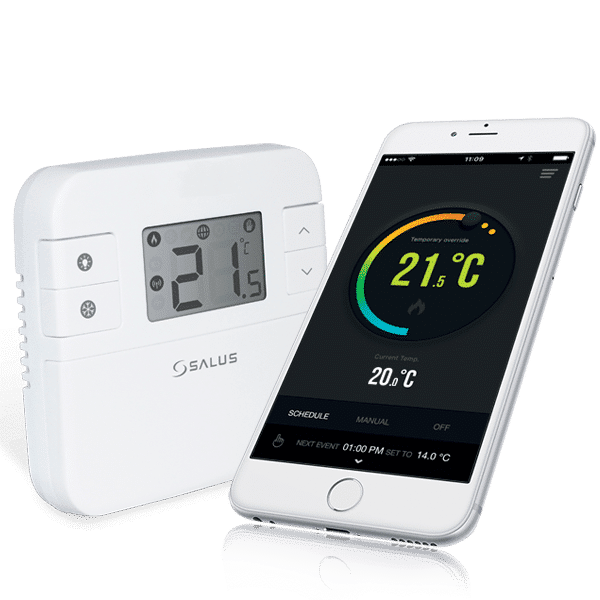 It is little slow on response after openning the app on phone (needs about 5-10 sec to recive status and comand from or to thermostat) but afer you once figer it out, it is OK. The main thing that is missing is some statistics chart (in the app or on the web) to see how heating/cooling is used.